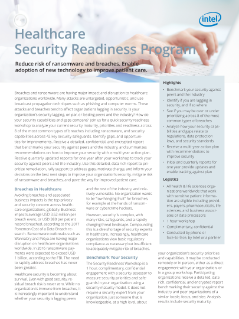 Explore this concise overview, which describes a security readiness program for Health and Life Sciences organizations globally, including providers, payers, pharmaceutical, and life sciences organizations. Any organization of any size that works with sensitive patient information is eligible to participate. This program informs participants where they stand on security maturity, priorities, and ...capabilities in relation to peers and the rest of the Health and Life Sciences industry. John Hengeveld’s real-life example shows how simulated computer experiments help cure diseases.